Last month, I was in Washington at the Twin Peaks Festival, a celebration of all things Twin Peaks and David Lynch. For those of you who may not remember or know Twin Peaks, it was a television series created by Lynch and Mark Frost that aired on ABC for two seasons in the early 1990s. The show began with the central plot revolving around the murder of the homecoming queen. The fictional town of Twin Peaks was a place 'both wonderful and strange.' It was a town 'full of secrets,' and viewers' guide to navigating those secrets was FBI Special Agent Dale Cooper played by the perfectly cast Kyle MacLachlan. While viewers learned more about Laura Palmer, the murder victim, and the other residents of the town, we were also treated to extraordinary side stories, beautiful scenery and terrific dialogue. Ultimately, many of the stories in Twin Peaks deal with serious issues such as abuse, extortion, arson, murder and violence. Why have people gathered in celebration of this? The Twin Peaks Festival has been an annual occurrence since 1993. 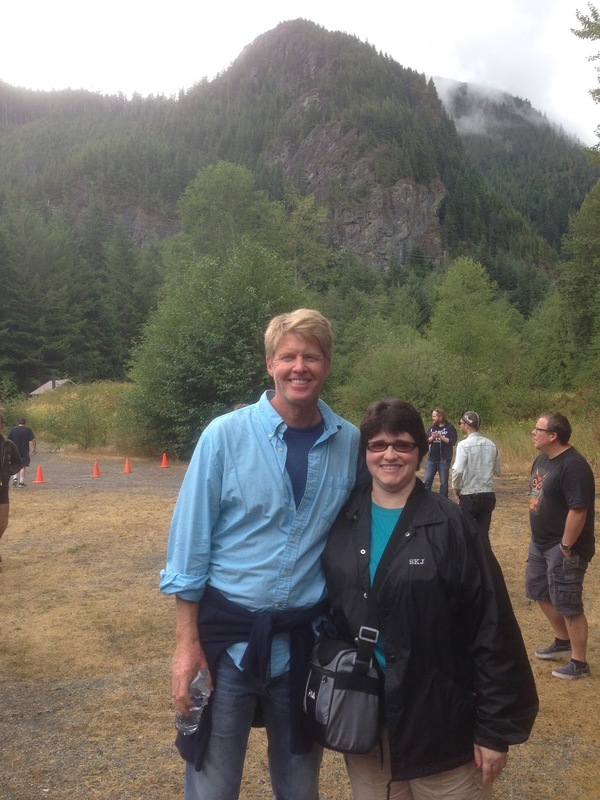 Fans travel from all across the globe to meet in North Bend and see the filming locations, meet cast members who come to the Fest, and visit with other fans who become family. 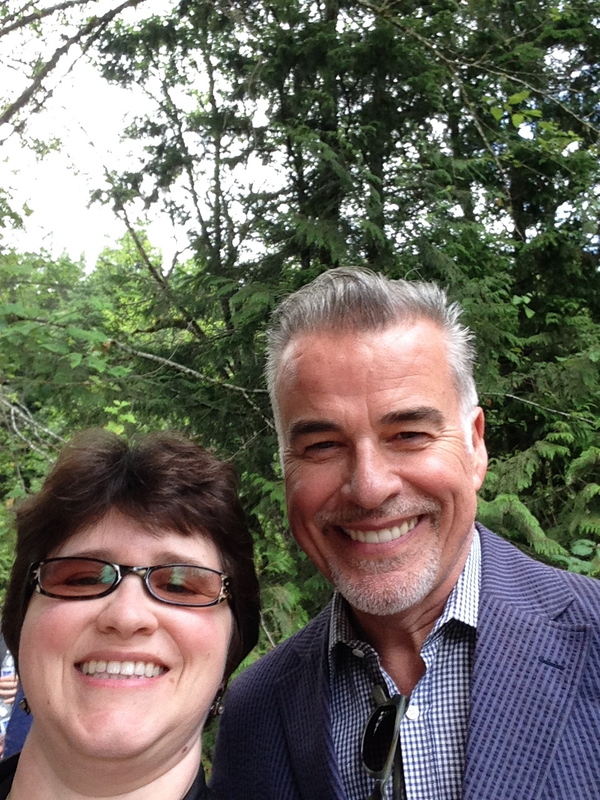 at Twin Peaks Fest 2015. This was my first year attending Twin Peaks Fest, and it was gratifying being around others who were just as obsessed with the show as I was. While I've been a Twin Peaks fan from the first night it aired on ABC (with limited commercial interruptions), what did surprise me was the number of fans at the Fest who discovered the show on DVD or Netflix, long after it went off the air. Except for the vehicles and the telephones, there is a timeless quality to Twin Peaks. The high school students wear leather jackets or plaid skirts and sweaters. Not a lot of dated slang words are used, and there are no chain stores seen on screen. Twin Peaks exists in a bubble. 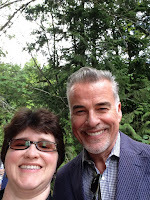 One of the other fans I spoke with at the Fest said she thought it was amazing that people were such fans of what was, essentially, a dark show. As I said, the subject matter is disturbing. The scene where viewers become privy to what, precisely, happened to Laura Palmer when she was murdered is still one of the most terrifying scenes I've ever seen on television, network or cable. Twin Peaks tells a dark story in a unique way, though. The character of Agent Cooper is a brilliant creation. He is a man who is focused and dedicated to his job, a brilliant detective who concedes he has weaknesses, and someone who is able to combine amazement at the world around him without losing sight of the important job ahead of him. This is just a small sample of the wonderful, weird and wacky characters in Twin Peaks. They keep entertaining me year after year. I can only hope my own characters prove just as entertaining and touching to readers. Twin Peaks is returning to television. I, for one, can't wait to see my old friends again and look forward to making new acquaintances. 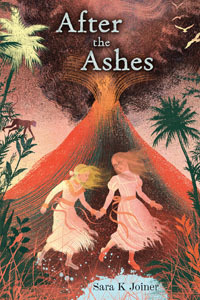 Holiday House is hosting a giveaway on GoodReads for five advanced reader copies of After the Ashes. You have until August 19 to enter. Maybe you'll be one of the lucky winners! In addition to the drawing, my book release party is scheduled. It will be held at 2 p.m. October 17 at Blue Willow Bookshop in Houston. Blue Willow is a fantastic independent bookstore that offers events throughout the year. I've been to some book release parties for other author friends there, and they're always nice. I can't wait for the release! I'm nervous and excited, and that will definitely increase as October draws near. Finally, I've got reviews from Kirkus and Publishers Weekly.